Infant—a sweet dream of every warm family. 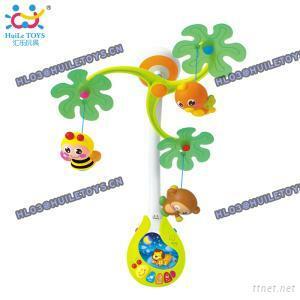 Huile company, founded in 1998, is one of the most professional manufacturers for infant intellectual toys in China. In the world, most of Infant Growth Research Authoritative Institutions deem: the development of infants early intelligence will play an important role in its future growth; enlightenment by toy colors, shapes, voices, movements and other intellectual elements can enhance baby healthy growth on sensory perception, practical ability, intellectual exploration, and study & exploration interest. To achieve a beautiful dream of the global family, our Product R & D center invests enormous resources. Our professional RD Technicians focus on the trend of academic development and infant development, create and develop safety toys in line with the mental and physical healthy development of modern infant. High-quality material selection, bright and clean production environment, strict and effective quality control meet the toy safety technique standards in China, Europe and America etc. The manage spirit of producing safety and healthy toys bears in every Huile people’ heart. Physical and mental health development of global infant becomes the common mission of Huile people. Converging love into happy—colorful, funny, safety, and intellectual toys from Huile bring immense joy to every happy family. Toys, Educational Toys, Educational Toys/n.e.s.